If you want a book with all the feeling of a blockbuster, then this hits the spot. This is Big science-fiction, with a capital B, spanning a host of characters around the globe and beyond. Earth is under threat with an asteroid big enough to wipe out life on the planet tumbling through space towards our little blue orb, and this is the story of how the world responds. Does it unite as one to face the threat? Does it ever? As different nations start to deal with the threat in different ways, a science-driven corporation, Stormhaven, home to innovations far beyond those in use by the world's governments, begins to emerge as humanity's best hope - if only humanity will let them act. Seemlessly hopping from within the US government, to the Chinese scientists' response, to within Stormhaven, to the crew of the international space station and on to the members of an impromptu lunar colony founded as a failsafe, the story cannonballs along, as countries try their best to respond while keeping a lid on public panic. Craig's a talented storyteller - though his story style isn't always conventional. There's no central character to focus on here, with a canvas so broad. If there's a central focus, it's on the people surrounding Colton Taylor, the enigmatic leader of the Stormhaven group, both brilliant yet internally gnawingly insecure. If you're a reader who enjoys focusing in on one character, then this isn't for you - but if you want story, story you've got. This is a blockbuster in the style of Niven and Pournelle hits such as Lucifer's Hammer or Footfall, where the life and death of the world hangs in the balance, and wrong decisions made along the way put everyone in peril. As for the conclusion, does the asteroid hit? Does the world succeed in fending it off? Well... that's still to come in the sequels. Don't worry, though, by the time you get to the last page, you'll be bursting to read more. Do you ever find yourself reminded so completely of a moment in another medium when reading? I had that moment reading this short story by Martin Wilsey. 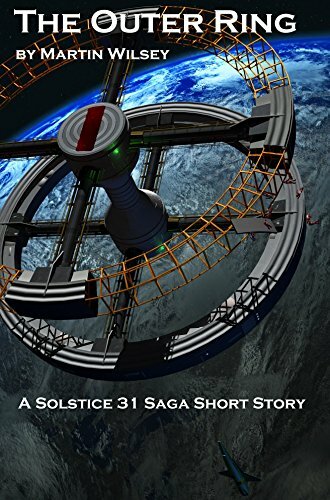 Not in a copycat kind of way, but reading this tale of life - and imminent threat of death - on board a space station reminded me of a moment in Stargate Universe. There was a fabulous montage in that show set to Julian Plenti's Only If You Run as members of the crew went about their daily grind, trudging along with the chores of space living, and there's a feel of that here - the grimy side of work in space bringing a synchronicity with that moment. As short stories go, this gives an insight into the technology and life of Wilsey's Solstice 31 series, and it's a good feel. 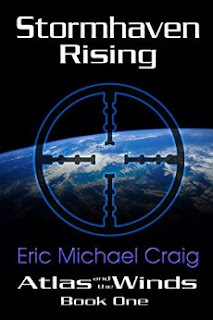 His writing makes a good companion for that of Eric Michael Craig's above, both full of solid science and thoughtful projection of how things would be in a future world. It probably makes a better companion piece than an outright introduction, as it doesn't really feel like it's a standalone story, with events happening but no real resolution to the piece. Still, if you're reading it alongside his Solstice Saga series, starting with Still Falling, I suspect it'll fit in very neatly as a director's cut extra. I'm really not sure what the point of this story was - according to the blurb "a scientist aboard the earth military vessel, Galilea, must race against the clock to discover the source of an anomaly that threatens to tear apart the fabric of space-time itself while the Krians, an alien race at war with the humans, threaten to attack for trespassing into their area of space". Sounds fine enough, but really you have a passive lead character being driven along by events towards a resolution that leaves you guessing what happened. 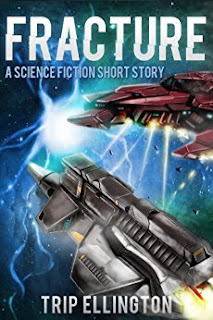 I picked this up through Instafreebie but it doesn't entice me towards Ellington's other work, and as he's charging $2.99 for this on Amazon for about a 4,000 word story, I'm very sure you can do better with your money. Ellington seems to have some skill with description of action and dialogue, but this is too light a story to show it off. Excellent reviews. I am currently reading The Outer Ring and enjoying it a lot.